My office address is 6741 Sebastopol Avenue, Suite 220, Sebastopol, California, 95472. 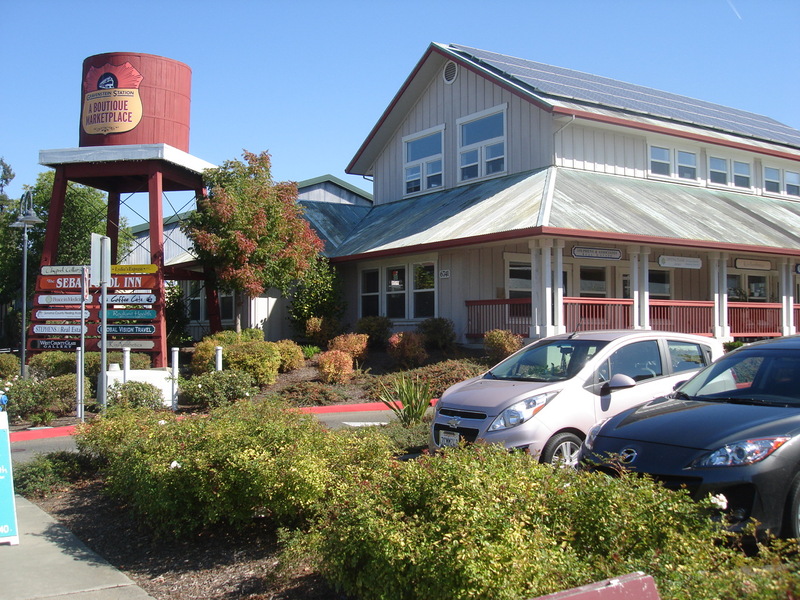 It’s in the Gravenstein Station complex, home of the Sebastopol Inn and Coffee Cats. The entrance to our parking lot is directly across the street from the new Community Market. Park in any spot that says Gravenstein Station Parking Only — 3 Hours Max. There are some spots on either side of the middle building if you can’t find parking right in front. At certain times of the day, and this is becoming many times of the day, there can be a lot of traffic on Route 12 going in and out of town. If you’re coming from Santa Rosa, you might consider taking Occidental Road and then High School Road. There’s less traffic and this route allows for an easy turn into the Gravenstein Station parking lot.